comments; Sales of "Earth Angel" took off so quickly that Dootone began pressing it on whatever paper they had. This led to the record coming out on several different color Dootone labels, including shiny red (first press), maroon, black and blue labels. Jesse & Marvin recorded a number called "Dream Girl" in 1952. The Jesse of the group was one of the writers of both "Dream Girl" and "Earth Angel"—Jesse Belvin. "Earth Angel" is clearly based heavily on "Dream Girl." 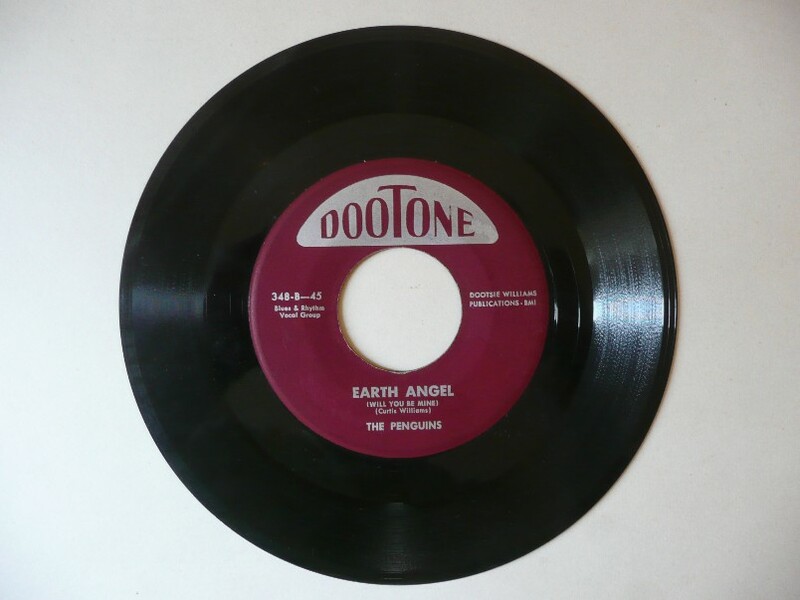 The Penguins scored a number one in the R&B charts with this "Earth Angel." Co-author Curtis Williams was leader of The Penguins. Elvis's recording is a home recording, made in Goethestrasse, Bad Nauheim, Germany, during his army service.